Last Friday afternoon I went to see ABBA jukebox musical Mamma Mia! Here We Go Again at the Vue cinema in London's glitzy Islington. OMG! I. Loved. It. I cried. I laughed. I cried some more. I sang. I cried. I sang again. I blubbed. And I laughed at the post-credits bit. 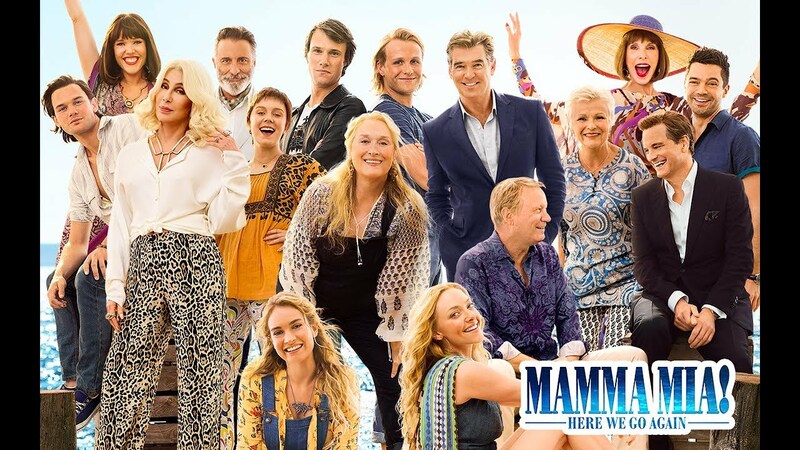 Picking up 10 years after the first film left off, the film is both a sequel and also a prequel to the original Mamma Mia! The plot is set after the events of the first film, but also features flashbacks to 1979, telling the story of Donna Sheridan's arrival on the island of Kalokairi and her first meetings with her daughter Sophie's three possible fathers. Not that the plot really matters other than to deliver its various emotional punches. And those punches come through ABBA's amazing songs, which are as often about breaking up as they are about falling in love. As the opening bars of When I Kissed the Teacher started, I almost jumped up and danced. During My Love, My Life I could barely see the screen through my tears. The acting was great, the singing spot on and the dancing good too. It was also easy to spot the cameos - Björn Ulvaeus as an Oxford professor and Benny Andersson as "Waterloo" piano player in the French cafe. Perhaps less easy to spot though was the fleeting cameo of Una Stubbs as one of the dancers in the same cafe scene. And then, of course, there was Cher, making a wild appearance that's just a little more than a cameo as Sophie's grandmother. Her rendition of Fernando was fabulous. If you like ABBA, go see. Even if you don't, go see. It's great!